Sorry about that water break-yikes! But glad you've gotten to be with your daughter! The book is certainly timely, but plans for kids in an emergency seem important to me, too. My granddaughters do have a couple of 'go-to' neighbors just in case they need to. I've heard a lot about The Sky Beneath our Feet- appreciate your thoughtful review. Oh and hooray for spring break reading, everybody! This one sounds great. I've added it to my growing list of books. Congratulations on your Edelweiss milestone. I'm sure Weird Al is the only reward you need. The Sky at Our Feet sounds like an important and relevant book. I cringe regularly at the choices people make in books and in real life, but sometimes wonder if it's because I am just getting too old for all the drama. On the other hand, because I'm reading more #ownvoices, I'm also becoming more aware of the ramifications of knowing the world in different ways. 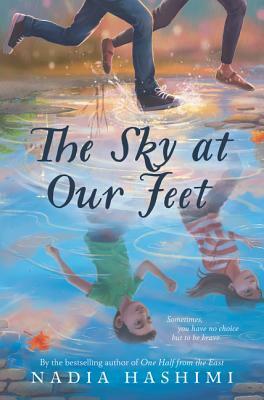 The Sky at Our Feet is definitely a book that could be both a mirror or window for students. Thanks for sharing your review. I'm so sorry to hear about the Westerville library! But terribly excited to hear about the Weird Al concert! I do not have any Jolly Ranchers handy, but I can offer congratulations on your Edelweiss milestone! The Sky at Our Feet does sound like a fun adventure. The Sky at Our Feet sounds very good! And I completely understand the concerns about not having a child prepared. I wasn't even in Kindergarten before my parents taught me how to call the emergency hot line for help. I remember my mother teaching me our street address to relay to the police. Anyway, this sounds like a great book that I need to get my hands on. Thank you for sharing! 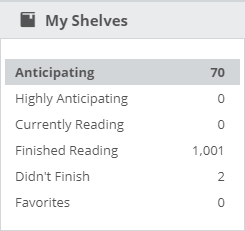 I'm looking forward to some reading time over Spring Break too. It seems like mine is always full of interruptions so I'm ready for a bit longer stretch of time! I have this book, but it hasn't made it's way to the top of the pile yet. You have me intrigued! The Sky At Our Feet sounds like a very timely story, especially in light of what is going on in the world. It's the first I am hearing of Edelweiss, I shall check it out.